We provide a wide array of surgical procedures. On top of routine procedures like spaying and neutering, we also offer orthopaedic surgeries, ovary sparing spays, canine vasectomies, bladder surgeries, entropian surgery, and more. 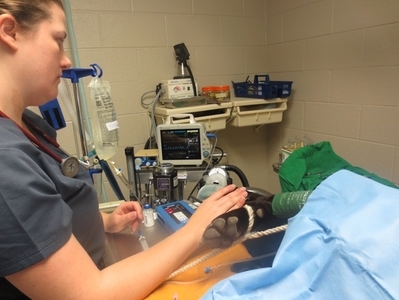 Every patient is closely monitored by a veterinary technician, placed on IV fluids, and have blood pressure, oxygen saturation, heart rate, respiratory rate and carbon dioxide levels checked every 5-10 minutes. We also place all surgeries on a circulating warm water bed to maintain their body temperatures. .
After surgery our patients are recovered back in their cages with warming pucks and lots of blankets, Pain meds are administered to keep them comfortable. Our surgery technician stays in the recovery area with them for the rest of the day. 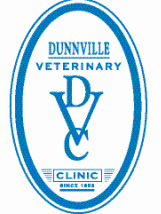 Our vets use a dissolving suture material and bury the stitches under the skin, no need to return for stitch removals and the best part is most of our patients don't need to wear that awful cone! 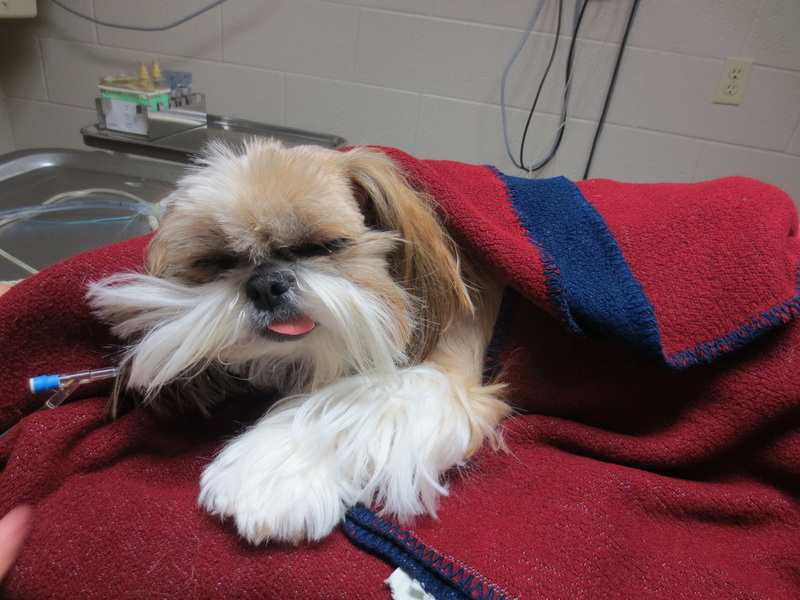 Once in recovery we call the clients and will even text them a picture of their furry friend recovering. 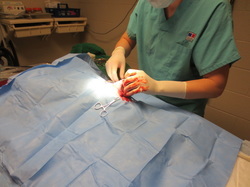 A few days later, one of our technicians will follow up with a phone call to make sure everything is going well post-op.